This taxation law and practice assignment help includes concepts of taxation in the Australian that is applicable on the individual. Raelene is the individual whose income and taxation matters are discussed in this report. Raelene is asecondary school teacher but wanted toget selected in Australian teamin Rio Olympics, 2016as an athlete. For this purpose she needs to takeleave from her office and concrete on its practices. For this she requires funds for the travelling, preparing for competition and for other preparations. For this purpose she was indulgedinto some fund raising activities and had raises some funds from different sources. This report includes discussion of various sources of income that Raelene has used to raise funds and its taxability. There are three sources from which Raelene has raised funds for its preparation i.e. small part time trading business, selling theatre tickets, donation, scholarship and income from advertisement. This report has discussion of whether these incomeswill be included in taxable income of Raelene and to analyse whether these are accessible income. Ordinary concept income of individuals: First of all nature of income is to be identified so that income can be diversified or included in particular section. Nature of income can be revenue and capital. Revenue nature income is assessable under section 6-5 and section 15-2of the Income Tax Assessment Act 1997. Section 6-5 includes income from salaries,business income, wages, etc. and on the other hand section 15-2 of Income Tax Assessment Act 1997 includes income from allowances, bonuses, benefits, compensation, and etc. 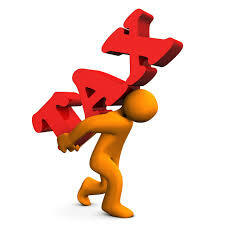 There is some capital nature income also that is taxable under section 102-5 of Income Tax Assessment Act 1997. These incomes are not of ordinary nature and are of capital in nature (Chen, 2015). These incomes are termed as statutory income for the individual or tax payer. 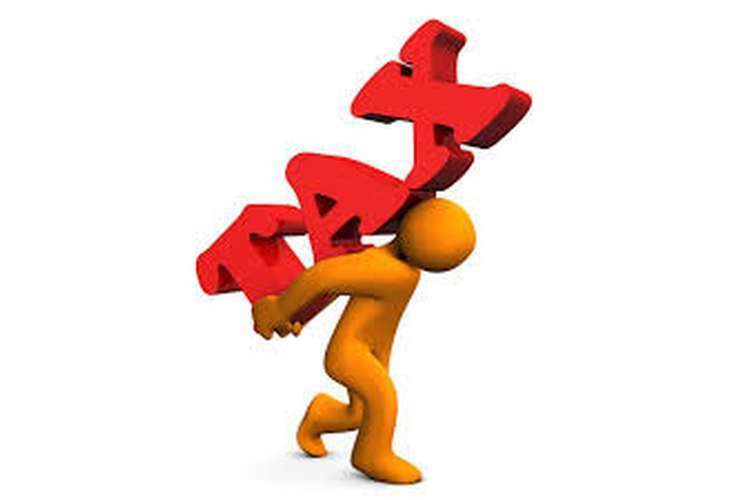 There is some income that are exempt from tax and these income are termed as not taxable income that is these income does not fall under the ambit of assessable income of tax payer. Apart from ordinary income and statutory income there are some other incomesalso that is includes in the assessable income of the tax payer or individual (Stewardson, 2015). Therefore these are also to be examined. First activity of Raeleneis trading inmeat i.e. buying meat cheaply then selling it at higher prices so that she is able to make someprofit from it. She is selling meat to its friend’s barbeque and earning some profit from it. Another income sources for Raelene is selling tickets of theatre night to her friends at the price higher than its buying price to the Raelene. Both activities that are undertaken by Raelene can betreated as business income or other sources income. Business income includes trade, vocation, profession, employment andother characteristics. B: Raelene shall possess documentary record of the same i.e. expense that is incurred by her on these business activities (Stewardson, 2015). Conclusion: Therefore Raelene can claim expenses incurred on purchase price of meat that is purchased for resale purpose, expenses incurred on the purchase of theatre tickets for resale purpose and expenses incurred on making arrangements of auction. From $ 11,000 that she managed to risefrom these activities above mentioned expenses shall be reduced or deducted and the remaining part of income is assessable income for tax. Second activity ofRaelene is of donation that she gets from its sports club. The Eastern Hawks has donated to Raelene a sum of $ 5,000 for its Rio Olympics, 2016 preparation and to support its fund raising activity. Apart from donation Rio Olympics, 2016 also receives scholarship of $ 6,000 per month fromThe Victorian Amateur Athletic Association at the time she wasoverseas. Therefore these are two activities that hadtaken place during the financial year. Payment made as donation by donor to some person having understanding that the donated amount will be used by the recipient of donation will be personally benefited. From the above points it can be concluded that Raelene in receipt of donation from The Eastern Hawks has fulfilled with the condition. Point number‘d’is applicable on the Raelene’s case i.e. The Eastern Hawks (Raelene’s sports club) and Raelene has the understanding that donated amount of $ 5,000 will be used by Raelene for her personal use i.e. for completing activitiesto reach in Australian team in Rio Olympics, 2016. Other income from the different sources (Office, 2015). In this case, Raelene has received scholarship from The Victorian Amateur Athletic Association for her fund rising so that she is able to complete her all the activities so that she is able to participate in Rio Olympics, 2016. But scholarship that she receives is taxable sine it is not in the nature of academic therefore she needs to pay tax on his scholarship that she receives. Scholarship that she receives is related to her personal nature and will be used by her for fulfilling her personal goals. Therefore it is taxable and included in the other sources of income and regarded as assessable income for the reporting period. Any some of money received or any other benefit received by the individual in revenue nature that is received in participating in any sports (Australia, 2012). Exemption: From the above payments there areon exemption from the income of above nature. If any income is earned from theactivities that is undertaken in the nature of pastime or hobby. Then these above mentionedincomesearned by the individual shall be exempt from tax. Conclusion: From the above points it can be analysed that Raelene has earned advertisement income as a hobby or pastime therefore this income shall be excluded from the assessable income.At present Raelene is not an athlete or any sports personthat denotesmain profession of Raelene. But she is still a secondary school teacher and want to be selected in Australian team and not let reached that point (Australia, 2012). Therefore from the above points it can be concluded that advertisementincome of Raelene shall be treated as income from pastime or hobby. Conclusion: Therefore from the point ‘e’ it can be analysed that amount received by Raelene from the competitions she entersinto shall not be included in the taxable income of the Raelene. From the above report it can be concluded that there are some income or amounts which is not included in the assessable income of the individual. Income tax Assessment Act 1997 has been applied to analyse the amounts to be included or not in the assessable income. Activity one will be business activity for Raelene therefore profits earned shall be included in the assessable income. Donation received shall be included in the assessable income. Amount received for scholarship shall be included in the assessable income. At last income from advertising shall not be included as it is pastime income. Amount received from competition shall be exempt from including in assessable income. Chen, D. (2015). The Framework for Assessing Tax Incentives. New York: School of Public Policy. Johnason, P. (2010). Tax Management. New York : Prentis Hall. Stewardson, A. (2015). Deduction of Income Tax from Saving Income. HM Revenue and Customs , 1-26.